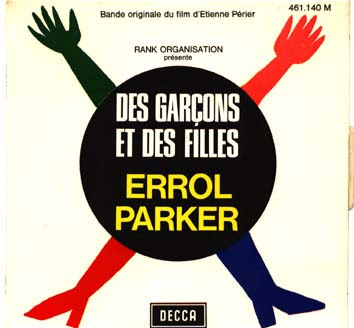 Have been listening to loads of jazz today and this has kept playing intermediately throughout..From the famed 'When Eight Bells Toll' director Etienne Périer's film “Des Garçons et des Filles” An obscure flick chronicling a pre 1968 attempt at commune life by a group of societies disillusioned youth..The soundtrack is right on point composed by French pianist and jazz drummer Errol Parker, with the help of a young Jean-Michel Jarre. It's the title track we visit in all it's jazzscat flava courtesy of the vocal talents of Rozza Wortham. Her velvety harmonies floating throughout the impulsion of rhythm. A true jazz dancefloor classic.